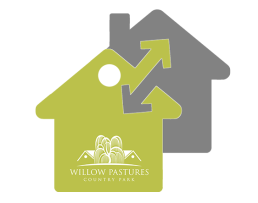 Willow Pastures Country Park is a boutique, luxury holiday park which celebrates its peaceful, countryside surroundings with luxury holiday homes with hot tubs for sale. Even though it’s a new site, the Park is fully landscaped and features a babbling stream and nature walk. Privacy is established through artistic landscaping and planting. Gardeners Arms Country Inn offers great homecooked meals and selection of real ales plus an outdoor play area. We are the only holiday park in the area to feature the Sycamore holiday home which is built to meet current building regulations and is NHBC certified with a 10 year warranty. Each park home and luxury static is fully furnished to high standard and hot tubs are also available. Who can visit, eg family & friends? Your family and friends are always welcome to visit at Willow Pastures Country Park and enjoy your luxury holiday with hot tub. We only ask that you are considerate to neighbours and the tranquil atmosphere. The Sycamore holiday homes and the plot of land they are on are sold under a 125 year lease-hold. The Champagne and Vendee are sold with a 18 year licence. The only other running costs are those associated with a traditional property, such as water, electricity and gas. You do not pay council tax at Willow Pastures Country Park. Stamp duty is payable upon purchase of a Sycamore. Life expectancy of the property? The Sycamore holiday home is built to meet current building regulations and is NHBC certified. They have a minimum life span of 60 years but they are expected to last longer, hence the 125 year leasehold. The Champagne & Vendee are sold with 12 year licence. Yes. The reception is manned 9am to 5pm all week and a site representative is available 24 hours per day. The park is covered by CCTV and all external windows and doors are fitted with insurance company approved locks. What happens if I’d like to sell/leave? We hope you don’t, but should you choose to sell your property, you need to notify us in writing. We will help you market and sell your holiday home and charge 2% of the sale price. To reserve your property, we charge an initial £1,000 reservation fee which is deducted from the final sale price. We then require a 10% deposit to exchange contracts, the remaining amount to due on completion. It normally takes 28 days to exchange contracts. Our Sycamore holiday homes are fully mortgageable. A mortgage is a much safer, more cost effect way of paying for your holiday home. For more information on this, please get in touch and we can pass on details of an independent financial advisor. Yes, you can buy-to-let a holiday home at Willow Pastures Country Park and we will manage everything for you. We will even guarantee* that you will earn a minimum of £15,000 p.a. on The Sycamore. Mortgages for buy-to-let holiday homes are also available. Can I come on holiday to Willow Pastures Country Park? Willow Pastures is the ideal place for a short break or family holiday. Set in the heart of East Yorkshire countryside, this is the perfect base for explore the area. Relax in your own hot tub and enjoy a fully equipped, luxury holiday home. To book, please visit our booking page. Yes, up to two dogs are allowed.